Let’s kick off the day with a breakout setup! Dollar bulls and bears have been wrestling with USD/CHF since the start of the year, slowly forcing an increasingly tighter consolidation inside a symmetrical triangle. Right now Stochastic is on the bulls’ side with an almost oversold signal while the SMAs are no help thanks to tight trading conditions. Which way will the pair go in case the triangle breaks? Here’s a nice and simple support-turned-resistance play for ya! 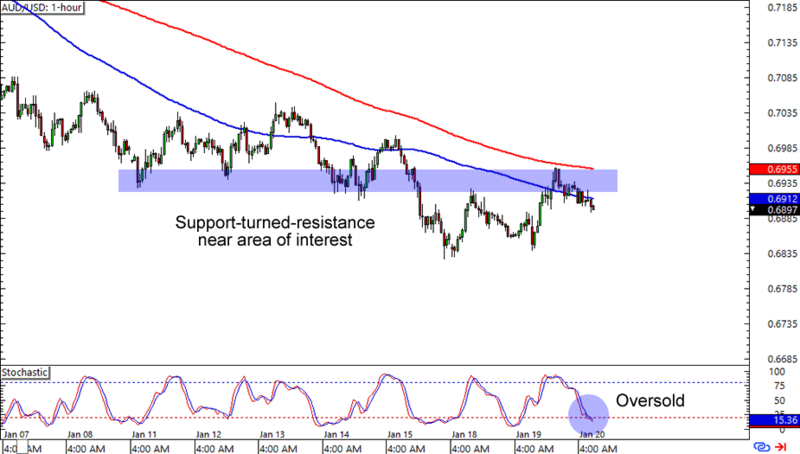 Yesterday AUD/USD found support at the .6835 area, which enabled the pair to pop up to the .6900 levels. What makes this setup interesting is that the major psychological handle lines up nicely with a major support area last week and the 100 and 200 SMAs this week. Stochastic is nearly in the oversold zone though, so you might want to watch out for possible small retracements before you enter your shorts. 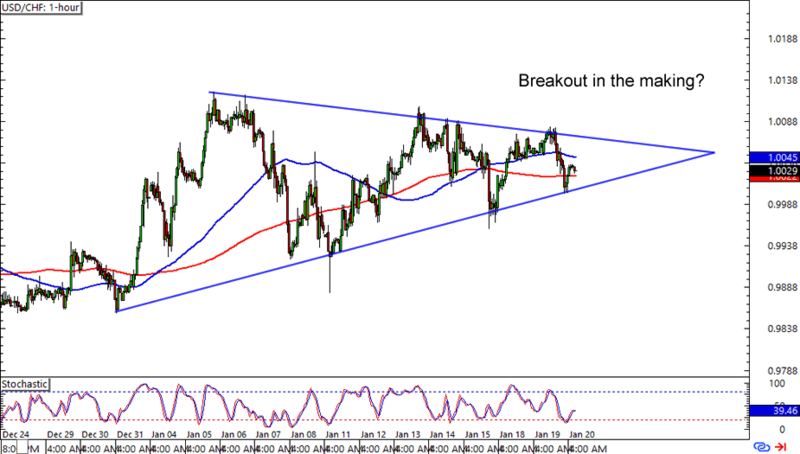 Stops above the SMAs could get you decent pips if you think that the Aussie will soon revisit its previous lows. Last up for today is a simple channel on EUR/AUD. The pair has just bounced from 1.5750 and is on track to make new highs. What’s more, the 100 and 200 SMAs are right behind it to give support to the bulls. 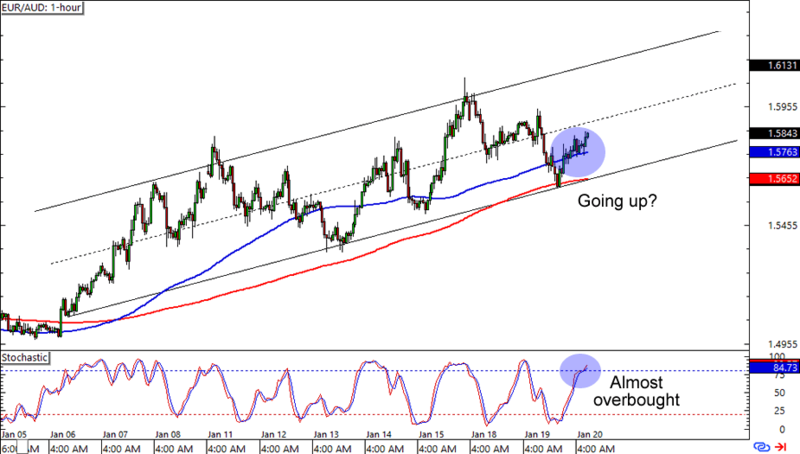 Is the rising channel enough to give more momentum for EUR/AUD’s buyers? Stochastic is almost overbought so keep an eye out for possible pullbacks to the trend line, but overall we’re looking at an easy peasy trend play that could get you a couple hundred pips or so.